Most wine dinners fail to live up their name and are mere marketing ploys to lure in customers into pre-fixe dinners with courses that fail to pair well with hap-hazardly chosen wines. This is not most wine dinners. 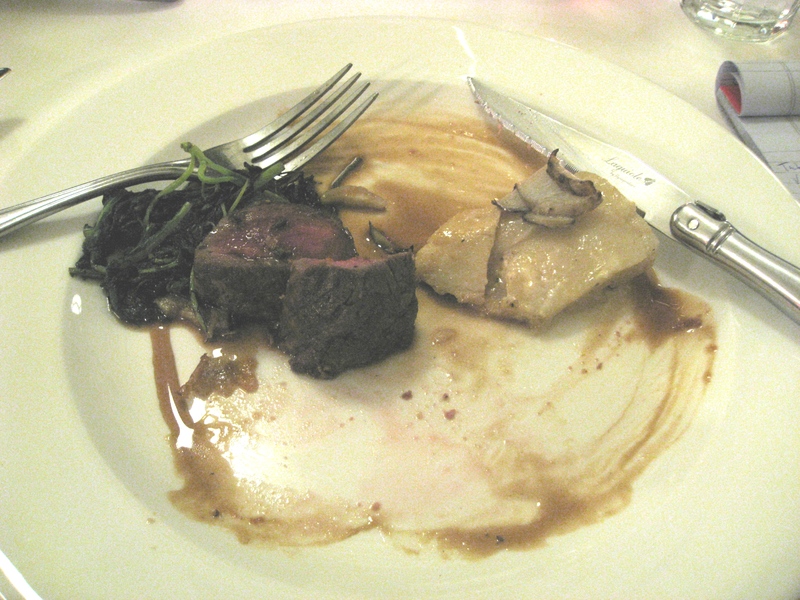 At the best wine dinners, food and wine not only pair well, but the sum of one and one make three. 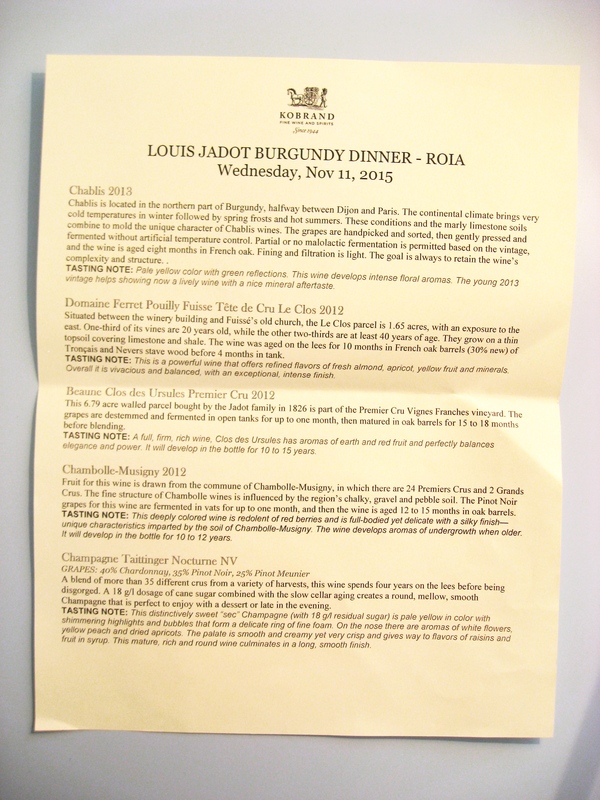 Often at such dinners the expense to acquire and feature the wine far exceeds that of even the most elaborate of dinners which was also the case for this Louis Jadot Burgundy Wine Tasting and Dinner held at Roia in New Haven, Connecticut. 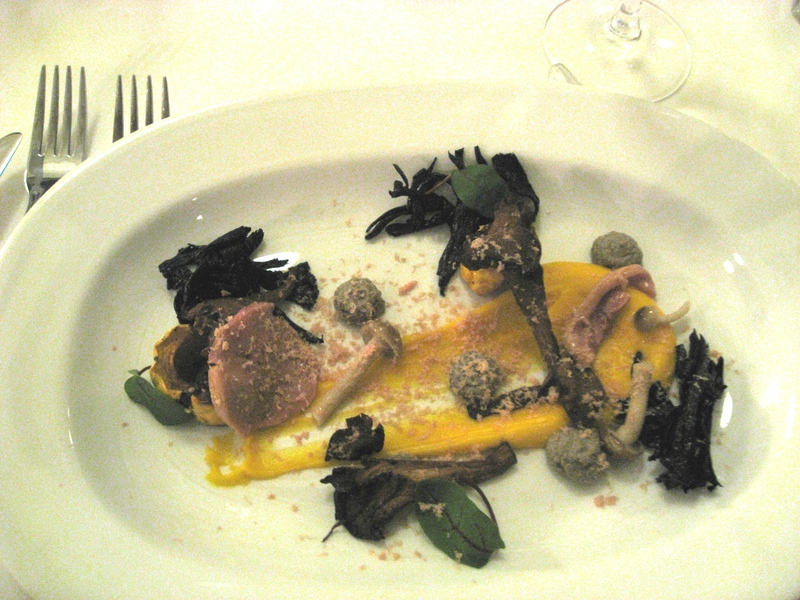 The $275 tasting and dinner experience lived up to its ticket price. I only received word about the dinner through one brief note in an email newsletter from The Wine Thief wine shop in New Haven less than a week before the dinner was to occur. 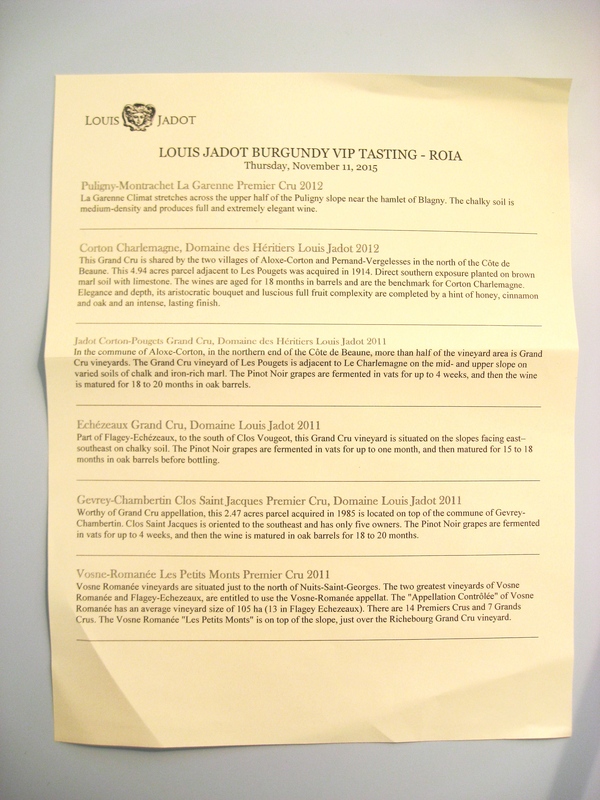 The note listed the wines that would be featured from Louis Jadot’s Burgundy collection along with the menu that would be served for the evening. After researching the wines online and not seeing any mention of the dinner on the host restaurant’s website, I called Roia on a busy night during restaurant week and made my reservation. 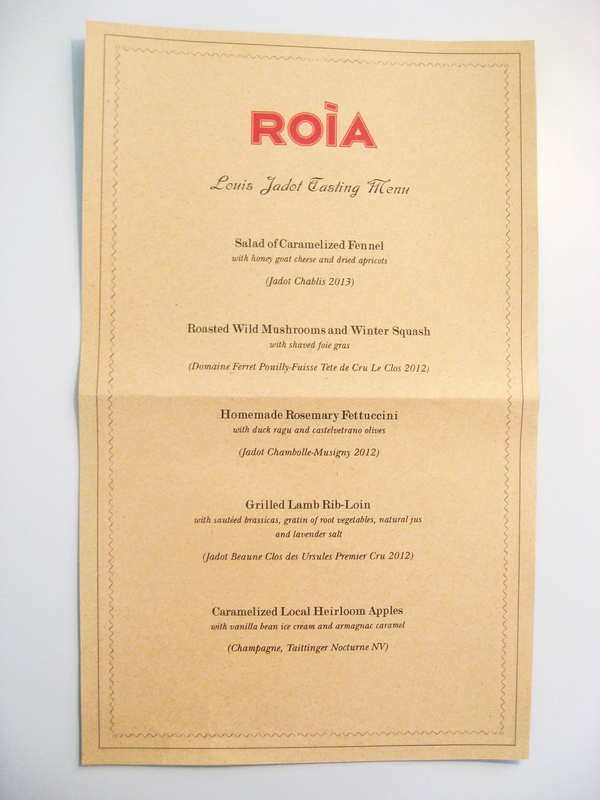 Later on during the event, I asked Roia’s chef and owner, Avi Szapiro, why the tasting hadn’t appeared in the events section on their website, and was told Roia likes to do some special tastings for small focused groups which does not always benefit from wider promotion. Tonight’s dinner and tasting would feature only 15 guests. I hadn’t known what to expect of the evening and learning this detail made the event feel special. 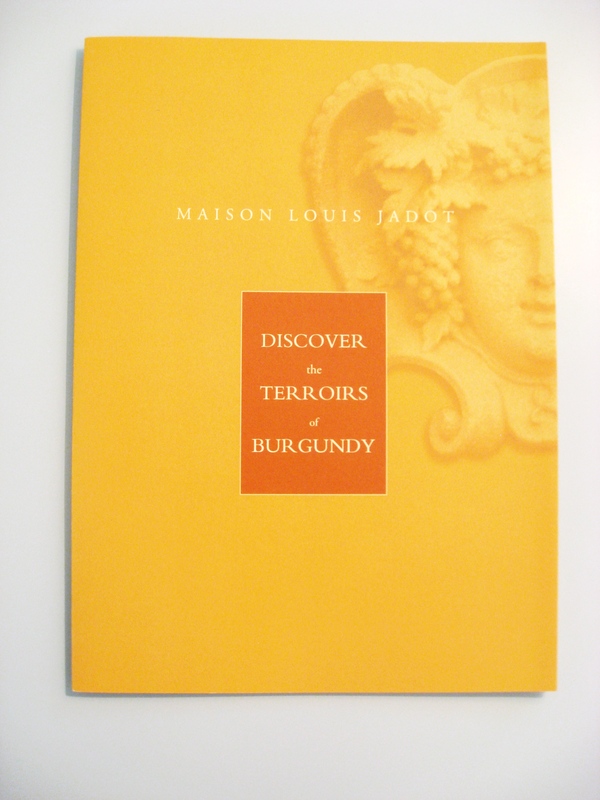 The Burgundy-themed evening was hosted by two representatives from Kobrand Wine and Spirits, a Louis Jadot distributor. Guests gathered while hors d’oeuvres were passed around and coats and jackets were checked by staff. Soon after the tasting began, six wines were poured and discussed in sequence by Kobrand’s representatives who guided the audience through the tasting. I took the opportunity to grab a seat to write my own tasting notes. 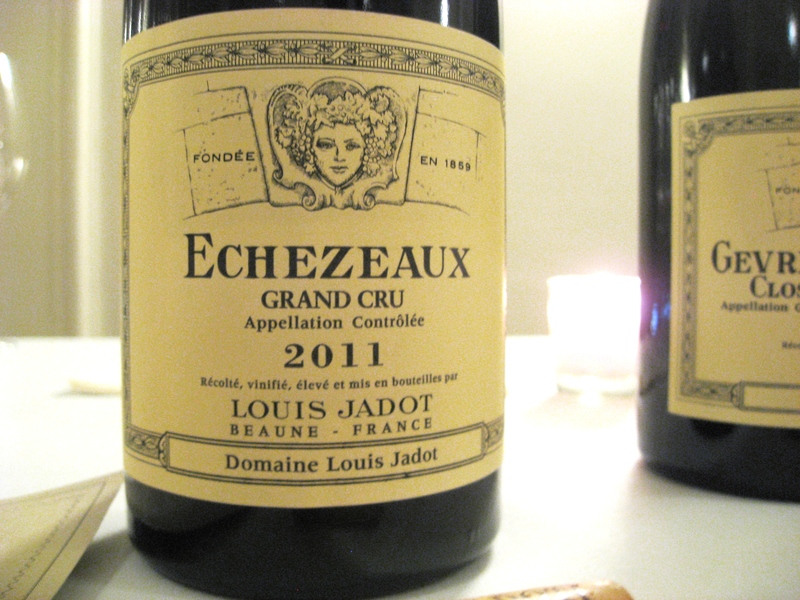 The wines that were being featured were premier and grand cru wines from Louis Jadot’s collection that even the representatives from Kobrand were giddy to taste. 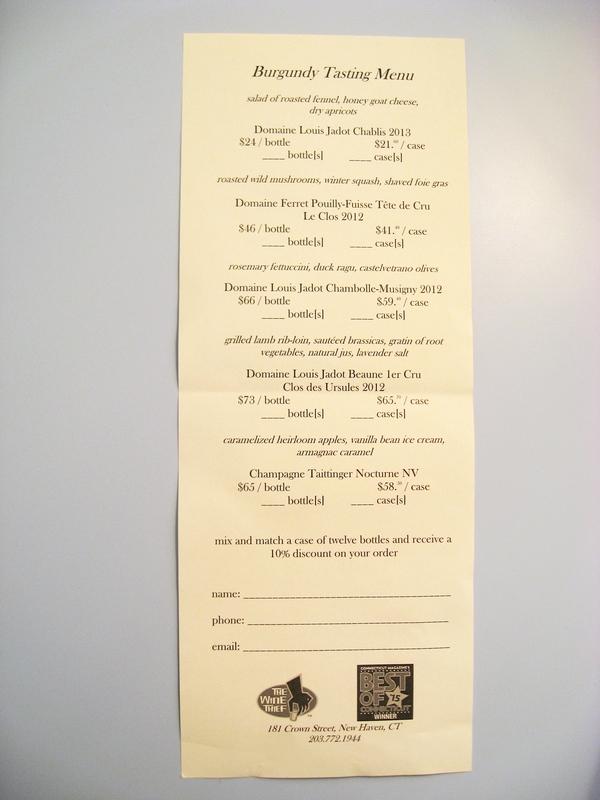 These wines are wines that I would be unlikely to purchase on my own at $147/bottle, so being able sample all these wines during one evening was quite an attractive and efficient value proposition, especially from such a well-establish Burgundy négociant. 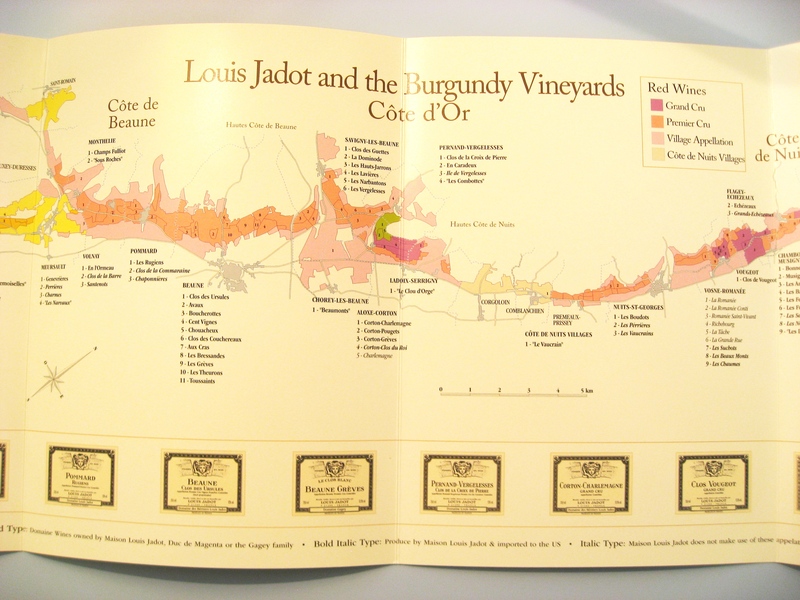 Photo Credit: Wine Casual, Louis Jadot tasting notes. Click to Enlarge. 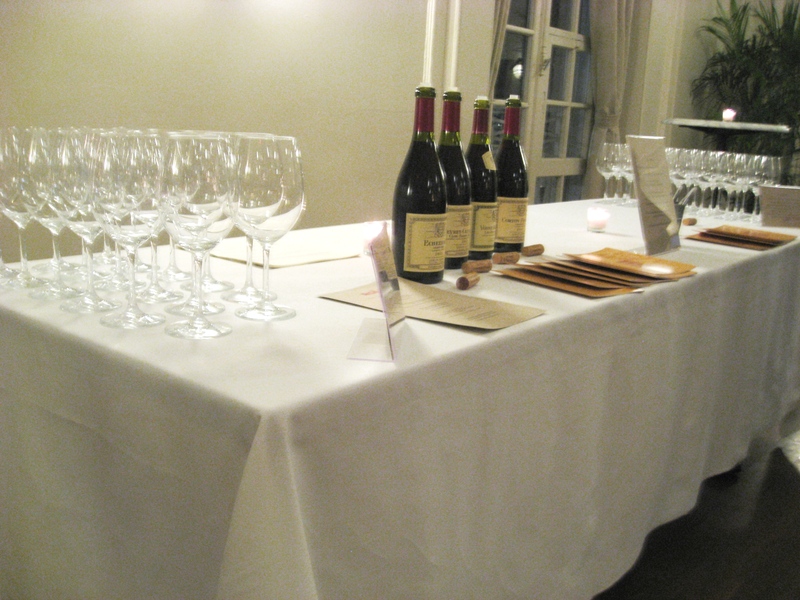 After these opening wines were tasted, we retired to an adjoining dining area where three round tables had been meticulously prepared with handwritten place cards for the five course meal replete with Burgundy-themed pairings. An enthusiastic staff of four was assembled to serve the fifteen guests. Each course arrived and was served with precision. With such a focus on wine, one often forgets to remark or take note of the food. 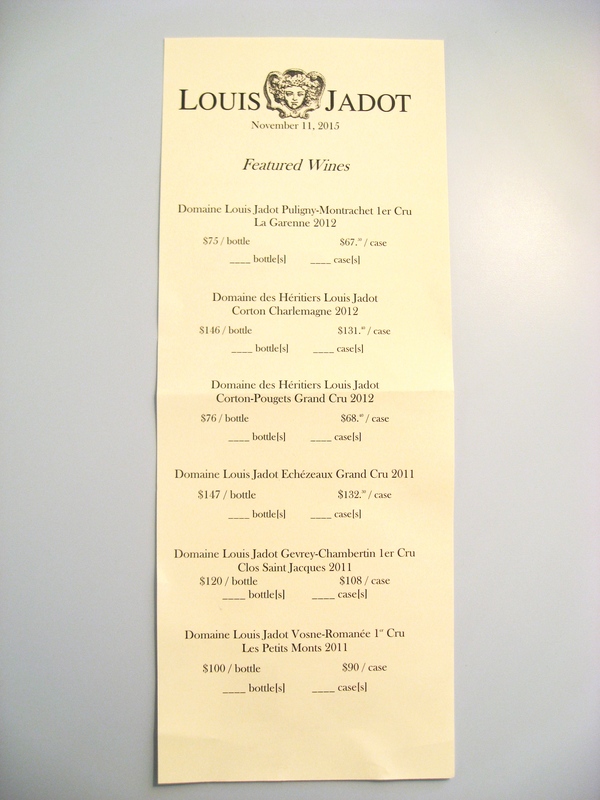 Photo Credit: Wine Casual, Louis Jadot price list. Click to enlarge. While this was also the case for me this evening, it must be noted that every course was absolutely delightful as well as visually stunning. 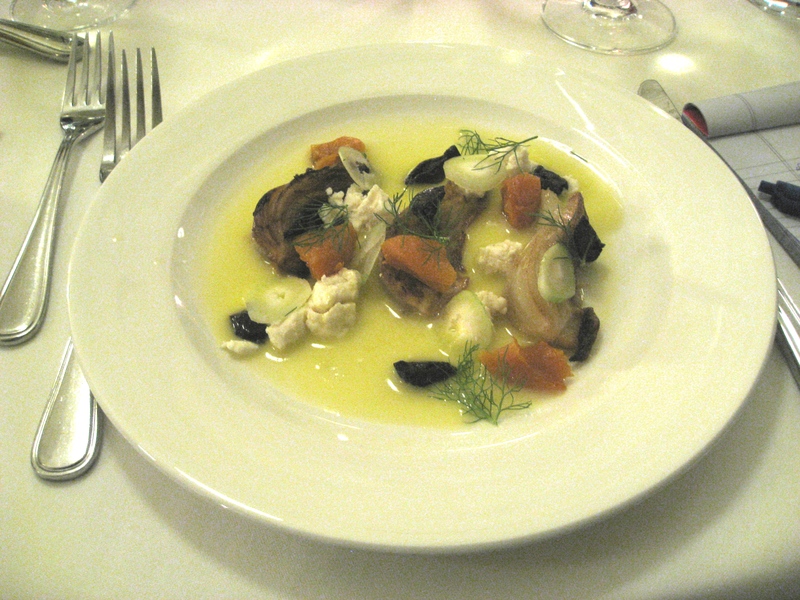 Avi Szapiro’s, the chef’s, enthusiasm for preparing this meal for his guests was clear. 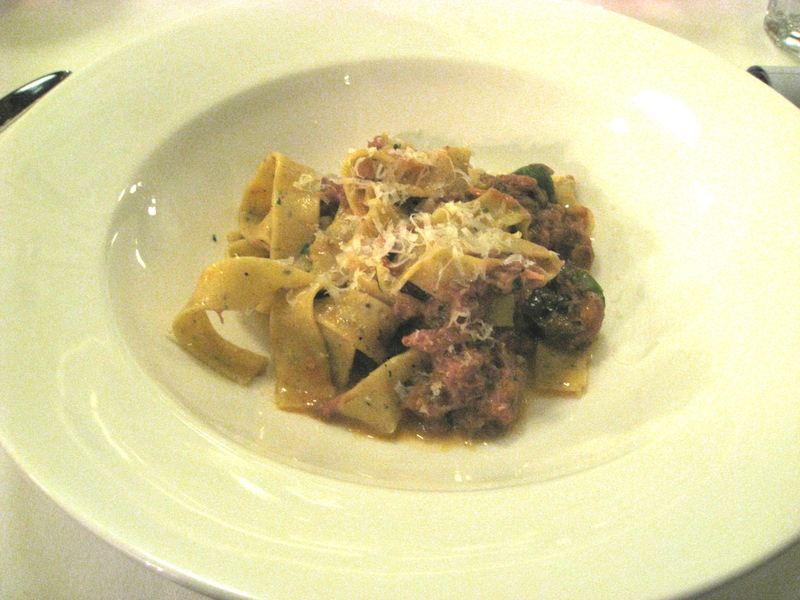 He had tasted all the wines prior to developing the menu to ensure the wine and food would pair well. Ask the chef at your next wine dinner if they tasted the wines before developing the menu and see what reaction you get; it will be telling. Luckily, I ended up sitting at a table with Kobrand’s wine distributor reps, a wine buyer from The Wine Thief wine shop as well as other wine industry folk. Hearing their perspectives on the featured wines as well as on the wine industry as a whole was both interesting and revealing. 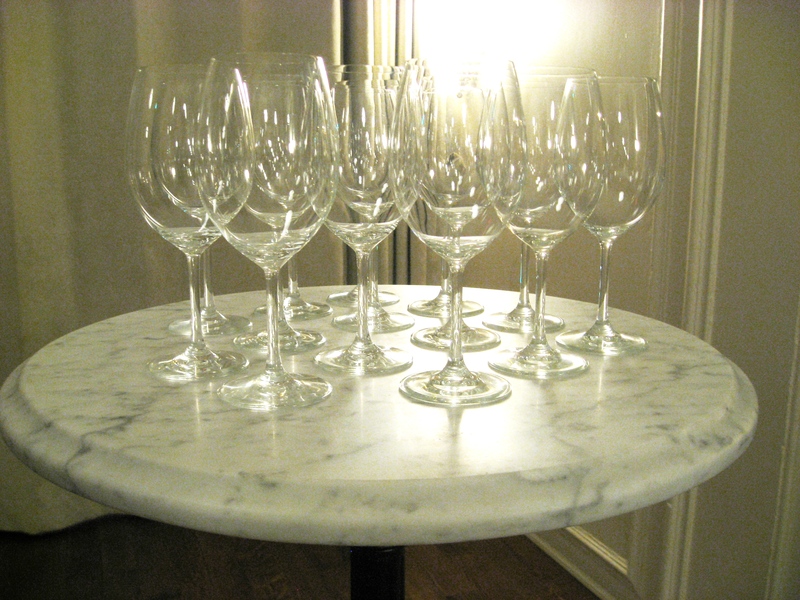 What do wine industry professionals discuss at a wine dinner when it’s just them (and me)? Find your way to a wine dinner, sit down at a table with a wine professional, and you tell me. Overall, an enjoyable wine dinner experience (“A+” on service/food/execution and “A” on the actual wine themselves).